After installing my new fuel system and turning up the boost on my MMP Stage 3 turbos, I started to notice some really bad heat soak in my logs. Guessing that the car is around 600-650whp at 28PSI, I could see that my standard VRSF 7″ Street intercooler was no longer keeping up. It did a great job on my stock turbos, but I needed something a little bigger. 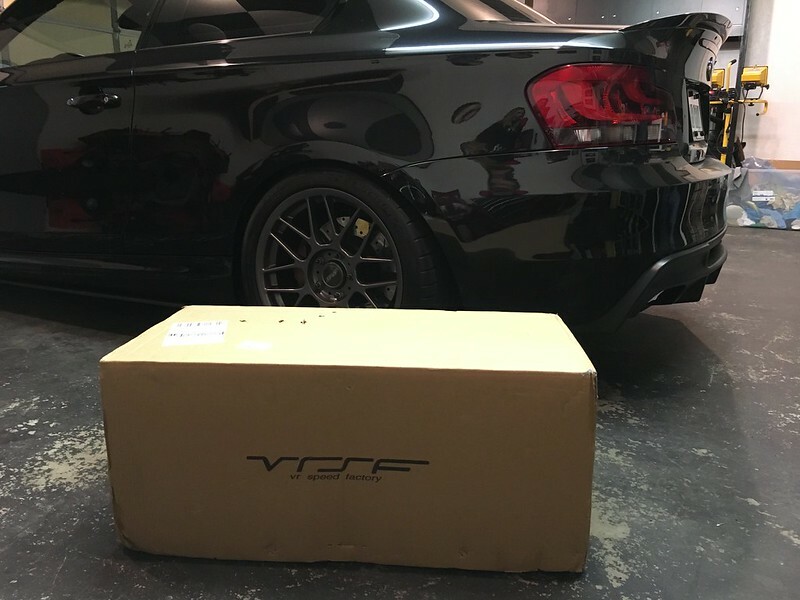 After doing some research, I found the VRSF 7.5″ Race intercooler. Judging by its size and efficiency ratings, it seemed like the perfect intercooler for my power goal of 700whp. I ordered it right away to help cool things down a bit. Four days later it showed up, very nicely packaged.